Cement hydration occurs according to a sequence of reactions whose products have a direct influence on the working properties of concretes and mortars during their use. The understanding of the evolution of its formation is quite simple and focused on monitoring the identification of resulting hydrate formed and their corresponding quantification by content of bound water after hydration stoppage and drying at certain set periods of time. Among the more common techniques are the methods of direct drying, where free water is eliminated by evaporation or sublimation or by replacing the existing water with organic solvents and then evaporating them. The existing doubts about the effect of these treatments in the change of the hydrate composition make it difficult to obtain an accurate determination. 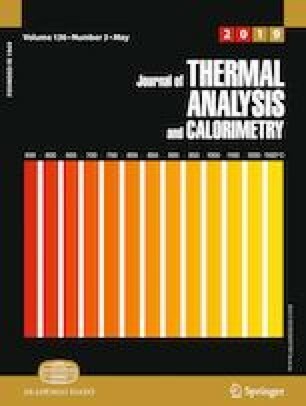 This work aimed to assess the impact of the stoppage of the hydration reaction of CPV (cement Portland type V from Brazilian market) in the results obtained by freeze-drying or immersion in an organic solvent as isopropanol or acetone, followed by substitution for diethyl ether. This last step is aimed at dispensing with the need for elevated temperatures or other aggressive solvent elimination methods such as evaporation under low pressure. The hydration was monitored at the previously set periods, and the hydrated products were analyzed by thermogravimetry and X-ray diffractometry. The results indicate that the technique of immersion on isopropanol and drying with diethyl ether is the most suitable one, as it does not affect the hydrated product composition. The authors wish to acknowledge and thank the Laboratory of Microstructure and Material Eco-efficiency—LME, CNPq—National Council for Scientific and Technological Development (research grant—155357/2016-6) and to FAPESP (Project 2014/50948-3—INCT CEMtec—Tecnologias Cimentícias Ecoeficientes Avançadas), for their financial support to this research work. They also want to thank their colleague Renan Piccolo Salvador for his valuable contribution in reviewing this work.